I love the Huffington Post’s Healthy Living section. Yes, the Huffington Post is a liberal publication politically. But whether you are conservative, liberal or somewhere in between, the Healthy Living section has some great articles. I tend to check it out numerous times a week. Today I want to share an article by Susan Dopart titled “5 Myths About Everyday Foods.” I have referenced Susan Dopart before in an article about fat. She writes good stuff. In her most recent piece she highlights 5 foods that either get a bad rap (when they shouldn’t) or are considered healthy when they really aren’t. I even learned something in reading this piece. The first food she discusses is cheese. This falls into the category of “bad food,” when the reality is that it depends. Yes, cheese made from milk produced by cows treated with growth hormones and that are fed copious amounts of antibiotics, grains, soy, etc. is not particularly healthy (I also just recently learned that shredded cheese contains cellulose, a.k.a. wood pulp as an anti-caking agent…even my organic shredded cheddar from Whole Foods does…shred your own). But cheese made from milk produced by grass-fed cows can actually contain many good things, in addition to the protein and calcium it is noted for. Grass-fed cows produce milk that is high in omega-3 fatty acids (which we need more of ~ also see here). Kerrygold cheeses can often be found in the imported cheese section of supermarkets, and from what I have read, it is produced from grass-fed cows (even though that is not stated on the label ~ they also make butter from grass-fed animals). Take a few minutes to read some labels and try to upgrade the cheese you are buying. 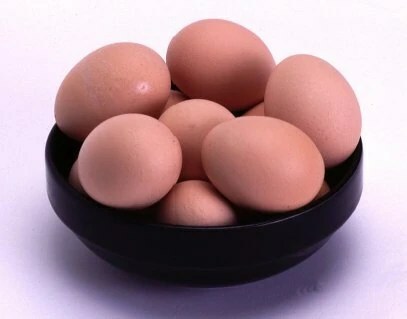 The next item highlighted in Susan’s article is eggs, which many people still believe cause your cholesterol to go up and is are tied to heart disease (every time I hear someone talking about having an egg white omelet I try to educate them about the value of the yolk). Susan points out that studies have shown no relationship between eggs and heart disease. For more information about eggs, read my pieces here and here. 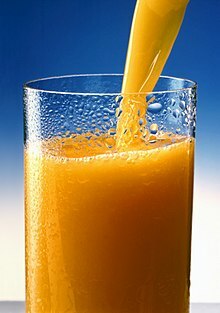 Think of all the oranges or apples you would have to squeeze to obtain a cup of juice. You are drinking all the sugar from the juice, minus the fiber that helps stabilize your blood sugar when eating the fruit. Fourth item discussed is the avocado. Many people avoid these because they have “too much fat.” I love avocados…I know not everyone does (for example, my mother). I love to mash up an avocado and mix it with some ground beef with seasonings, top a piece of grilled chicken with it or add some diced avocado to a salad. When I use avocado I will use half an avocado at a time. The fat in an avocado is the monosaturated kind, which is a healthy fat. I would caution those trying to lose weight against eating too many avocados, because certainly calories do matter ~ but for those already at a healthy weight, eat away! When you consume a large percentage of this type of fructose, it gets processed directly by your liver, which not only increases your triglyceride levels, but causes fatty liver, increased hunger levels and a plethora of other health issues you would rather avoid. …goes through heavy processing in order to concentrate it into a sweet syrup. Rather than being natural, as we’ve been led to believe, it is actually a processed food, often with few quality controls. Just another reminder that “natural” means nothing (see also here). Educate yourself & make the best food choices possible (most of the time…you don’t have to be “good” 100% of the time).